WHAT EVERY WOMAN NEEDS: WARDROBE 101: SHOULD YOUR BAG MATCH YOUR SHOES? 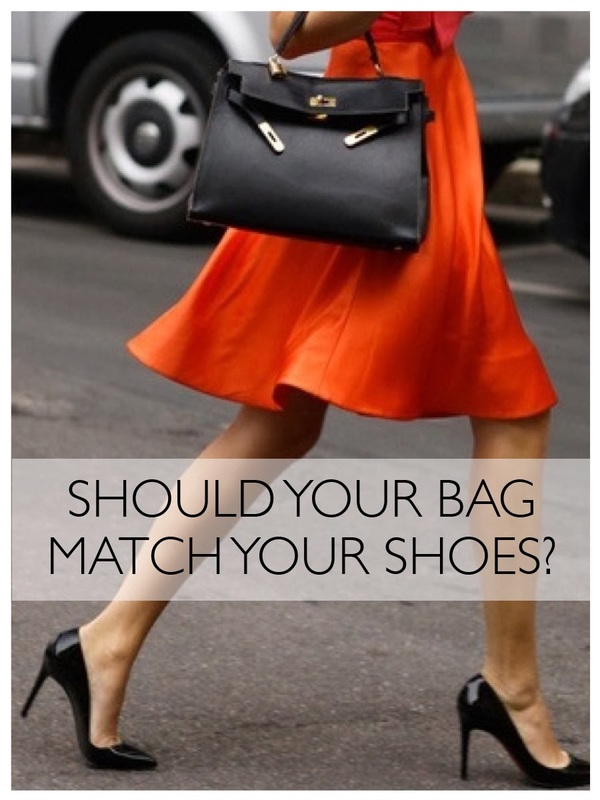 WARDROBE 101: SHOULD YOUR BAG MATCH YOUR SHOES? WORKING in the media and particularly as a former fashion director, it is often assumed that a “fashion authority” must have a special password into a secret style society. That you possess some little piece of wisdom that no one else has. It is also assumed that you are a beacon of knowledge and information of all things sartorial, which gives people the right to ask questions. And ask they do! Women want to know “how to”. How to do anything better (where do I start, the list is endless! ): how do I wear the latest trend, how do I wear the hot new colour or how do I dress like the uber sartorialists. But two of the most commonly asked questions are: Should my bag match my shoes? And should my accessories match? It's a garden party: matching floral bag and shoes. The general consensus – and contemporary dictates of fashion – would answer “no” and “no” to both questions. The “art” of co-ordinating or matching one’s accessories is referred to as “matchy matchy”. Not an extremely fashionable word or even vaguely academic, but it pretty much sums up the notion of those who conform to matching their bag with their shoes. For years, anybody who dared to be so conservative as to co-ordinate their accessories, let alone their colour schemes, was met with much disdain. It’s a bit like wearing one label head to toe I guess. Well kind of, but not really. However, not everyone agrees. 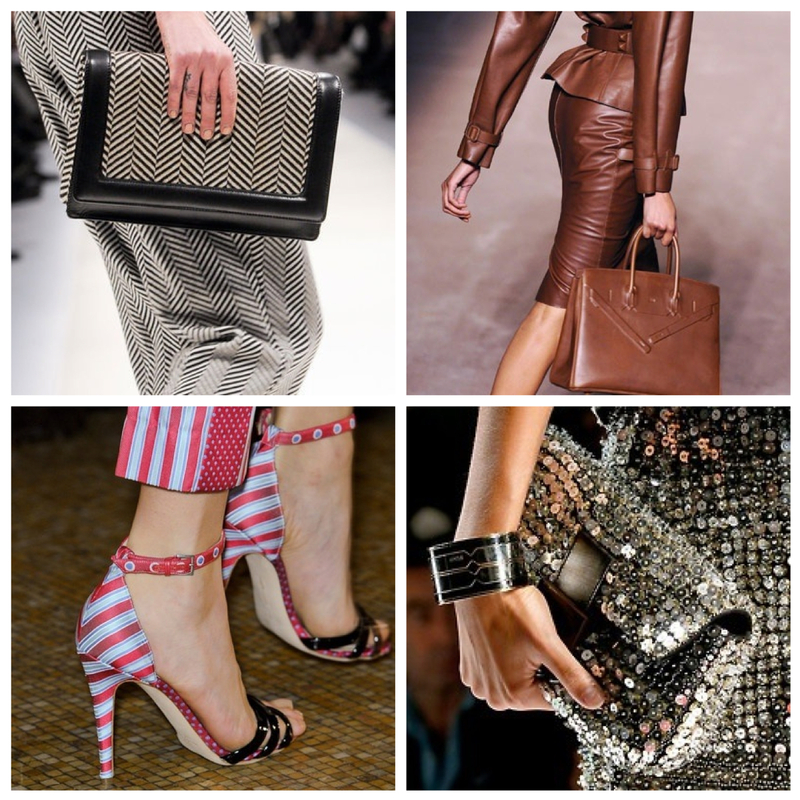 Many women like to match their shoes, bags and accessories as it finishes off an outfit. It looks more polished and complete. It’s like the full stop at the end of a sentence. But it’s a woman’s prerogative to change her mind, so that might explain why fashion gets away with being just as fickle. So it will come as no surprise that one of the most dramatic fashion about-turns – and less reported on in recent seasons – is the trend of co-ordinating accessories. 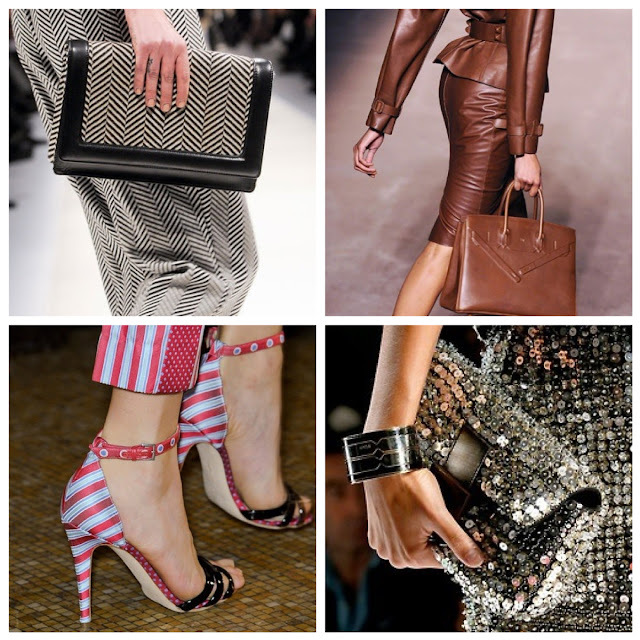 During the 2013 spring/summer collections (and again in 2016), many designers sent models down the runway in head-to-toe looks – with bags, shoes and outfits all in matching fabrics – reinforcing, or more to the point, highlighting the trend. I was in fashion heaven! Not so much about the idea of matching fabric, but more about the validation of my own personal style. This was my “hallelujah” moment because those of you who know me, get that I like to co-ordinate my accessories (shoes, handbag, glasses, jewellery etc). Some might even argue that I have OCD issues! For me, fashion – and more importantly, style – is all about co-ordinating or matching colour and texture with my accessories. If I wear black shoes, my bag will be black, my belt will be black (if I’m wearing a belt) and anything else such as glasses frames and gloves, necklaces and bracelets. And when it comes to textures, I match patent leather with patent leather, mock croc with mock croc, saffiano leather with saffiano. Got the picture! However, when it comes to prints and patterns it’s a little different. If you love a print or patterned bag (or shoe), identify the base colour and co-ordinate accordingly; if the primary colour of the patterned bag is brown, then wear a plain brown shoe. And vice versa. But I also like to take it a step further. I make sure the hardware – the buttons, buckles and studs – on garments and accessories match as well. I’m a silver person, so I generally opt for silver, steel or platinum finishes. I also like to co-ordinate hardware – buttons, watch, jewellery and detailing on the Prada bag. Which brings me to another commonly asked question. Should you wear gold and silver jewellery together? The contemporary dictates of fashion would say “yes”. Me? No. I would never wear a gold watch with silver jewellery, or even a brass belt buckle if the buttons on my jacket were silver. See! Told you I had a problem! When all is said and done, most of us can’t afford the luxury of a wardrobe full of matching accessories; not just financially but the space required to house such a collection. So the smart money says that every woman needs to build a collection of classic basics; that way you’ll get a lot more bang for your buck. But despite whether the fashion world changes its mind again – well it’s their prerogative after all as it is with every woman – I will continue to match my accessories. Do you like to match your shoes with your bag? Do you have a particular favourite thing to wear? Is this a trend you will follow? I’m waiting to hear what you think.